Enjoy the dynamic village music of Southern Africa with Zimbeat. 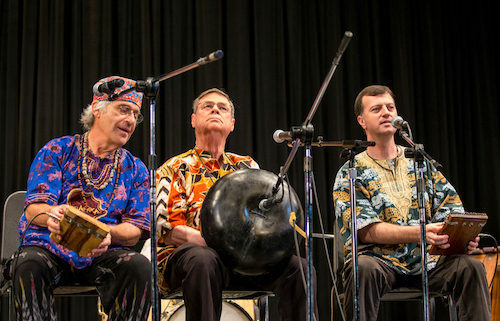 The music is based on the Shona peoples’ ancient musical instrument, the mbira dzavadzimu. Get carried away by the hypnotic interlocking melodies and spirited rhythms in the captivating and compelling instrumental music that is found in traditional and contemporary Zimbabwe. Flyer: Download the 2016 CWM Summer Concert Series flyer. Financial support provided by the City of San Diego Commission for Arts and Culture.